LEGO BOOST was announced last week and is incredible! 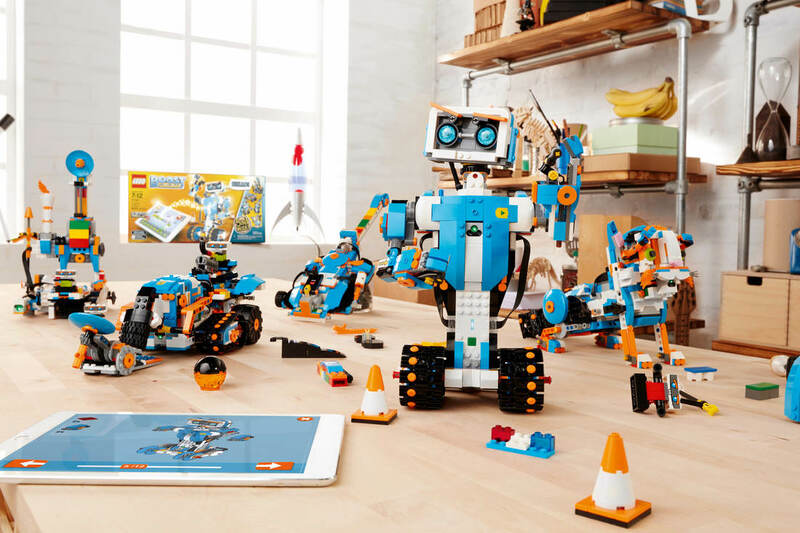 The Consumer Electronics Show (CES) in Las Vegas was on a couple of weeks back, and LEGO was there to show off their new robotics and coding system, LEGO BOOST. 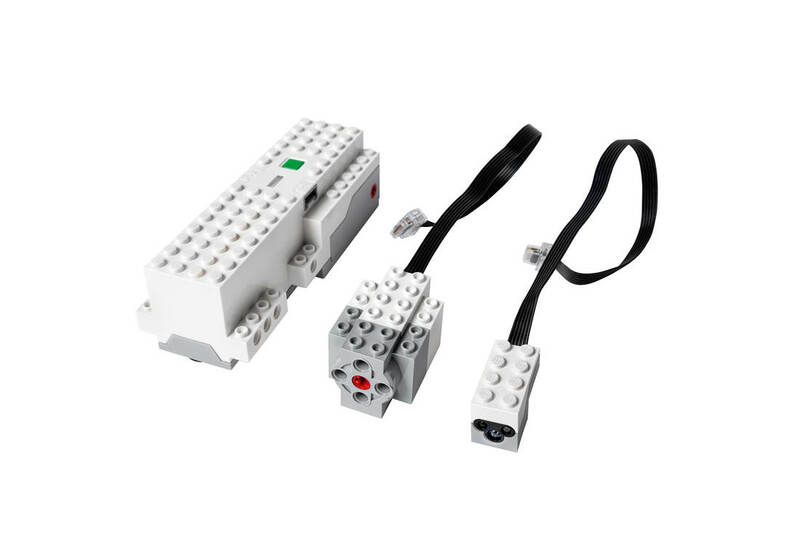 It’s a simplified alternative to MINDSTORMS and it looks amazing. 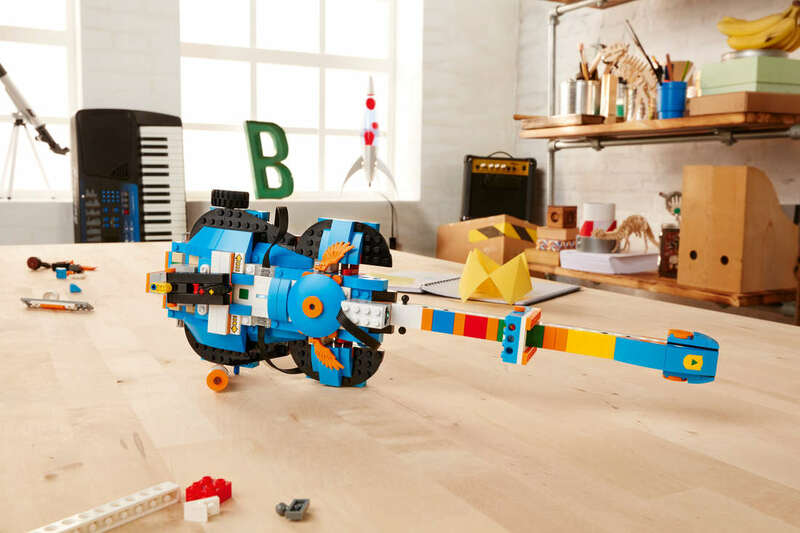 The base set includes over 840 LEGO elements, an interactive motor, a colour & distance motor, and the LEGO Move Hub – the brains behind the whole thing. The Move Hub has Bluetooth connectivity, two motors and an internal tilt sensor and light, and a button to turn it all on. 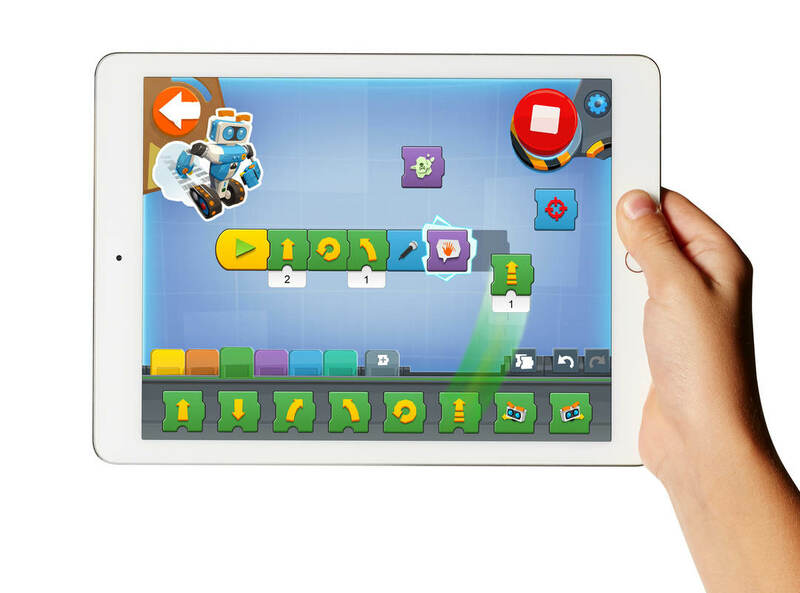 ​Also included is a unique, free tablet app for all your coding and building needs. It works on both iOS and Android platforms. and Frankie the Cat, my personal favourite. Frankie is interactive, he plays, purrs and expresses moods. ​Some of the programmable activities the models can take part in are excellent, and also can be quite amusing. Give Vernie a handlebar mustache and shooter and, after compiling some basic code, he’ll shoot when he hears a clap. Pull his ‘finger’ and he’ll let out a little fart, hilarious for any age! Frankie has some pretty amazing features too. Give it a cuddle and cradle it, and it will purr, and then program away to give it cat-like characteristics. For instance, give it some milk from a brick built milk bottle (with an orange end) and the colour sensor will trigger a purr. Don’t give it too much milk though, because Frankie has the farts too. Try lifting Frankie by his tail and he’ll let out an angry meow. Eyebrows, eyes and ears move, it’s tail wags – it’s a caterpillar track so it looks fantastic. Not only that, but theres’ one step further – leave the program running, and you’ll need to work out what Frankie wants – it’s Tamagochi LEGO! The software itself is extremely simple and intuitive, with a basic drag and drop interface, and is bright and colourful, and icon based, not text, so literacy levels aren’t an issue. ​There is an impressive amount of potential for this system. I’m really excited to see where this goes. Being able to fit this to existing LEGO collections means that existing sets will come alive, in more ways than one! It will also be very exciting to see how the education sector uses this, and of course there’ll most likely be a coding database full of amazing things people have created. ​Engadget created a fantastic video showing off the best parts. It’s highly recommended to have a look. 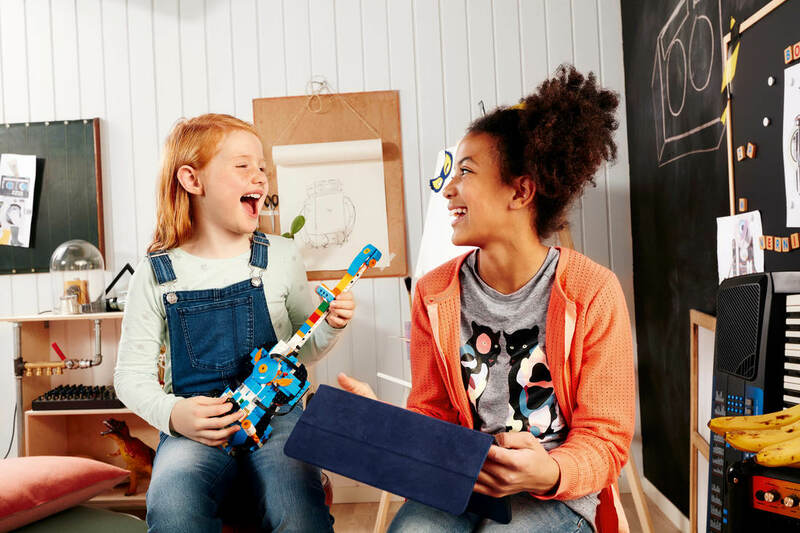 I’m definitely going to get myself one of these sets – there’s so much fun in store! Let me know what you think in the spunky new poll below.